boda, 18 Jul 2014Hi, I've got a problem with service codes shown by MGak. After typing last star (*) nothing h... moreDid you find a way to fix the mic problem? I've got a problem with service codes shown by MGak. After typing last star (*) nothing happens. Maybe may telephone has a new version of an android. 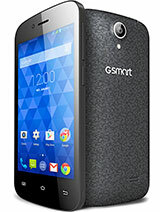 Where can I find the new code for my GSmart Roma R2 phone? Note that smal service code work - it means I see testing menu with 4 possitions. would you help me find a long service menu codes? mucha999, 28 Oct 2013Go to engineering menu via *#*#2584560#*#*, go to AUDIO, find 1.1 Normal mode and 1.3. LoudSpe... morepls mucha help me!! how to up adjust mic volume on gsmart simba sx1 ?? Hi guys, great day! 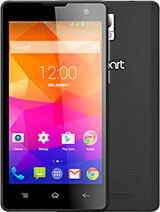 I know this phone seems to be quite good one as far as the cost is concerned. Now I have a problem with dual sim. Sim1 slot is meant for 3G connectivity. Now I tried with sim2 slot with mobile data as I set sim2 as default one. Upon noticing sim1 slot is not working for network connection with mobile data. Now I reset sim1 to the phone default but still the mobile data is not working. When I switch the data on still the internet connection is not available. Sim2 works well but its very slow, because it is 2G. Sim1 for making/receiving call is working but mobile data is not getting connected. Please help in this regard. Thank you very much in advance. I got this model month and a half ago, and compared to old Xperia X8, this is really top quality as far as manufacturing is concerned. It's weight ads somehow to reliability and stable fitting in the hand. AnonD-200680, 28 Oct 2013Hey Mucha I'm having problems with the sensitivity of my mic !! I was wondering if you could e... moreGo to engineering menu via *#*#2584560#*#*, go to AUDIO, find 1.1 Normal mode and 1.3. LoudSpeaker Mode and set its sensitivity to 200. Test it out. This helped me. Also drill bigger mic hole into the cover. I purchased this phone about two months ago. Choose the "Settings" option hangs the phone a lot. You only get 6 hrs out of your charge so if you are going out in the evening, more than likely your battery will be empty by the time you are going home. So I dont find it reialbe when I am going out. Sound: When you lower the ring tone on your phone, this also lowers the volume of a call, so you are either higher up the sound to hear your converstation and then lowering it back down so the ring tone is not to high. Phone needed a software upgrade, when I accepted the upgrade if formatted my phone, I lost all messages, calendar events...very annoying. For what I spent on the phone I am a little bit disaappointed in what I have got, but I am hoping that they will improve their battery time and charging time. IT might make the phone more appealing. Regarding the mic sensitivity there are 2 ways to improve it. 2. Increase the mic sensitivity in the service menu. 1.6. Speech Logger (logging of conversations, apparently). 1.7. Audio logger-is an audio logger (software for recording audio) with the ability to quickly find, play and save. 2. Select the mode you want. Normal Mode, (if you want to increase the volume of the earpiece and microphone). You'll see a menu with four positions, where the first item is the number of the profile. Try to increase it to about 200. I have the same problem. Eny solution? When I "send/receive" the MMS, the issue message occur (Transmission failure. Will retry later). The message text it's displayed correctly, but the attached "photo/video" are missed (empty). I tried to change settings, other SIM cards, other MMS applications, etc. without no succes. Hi, I have this phone around a month ago. The battery is not the best (the apps eat up it very quickly) thus I have always a charger with me. So it does not cause too much problems with me. It is not as heavy as my prev (HTC Desire HD) was. The dual sim is OK, you can easily switch between them when you call someone/send an sms. My only problem is with the GPS. It takes about 10 minutes to find the exact position. 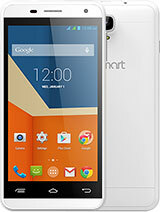 I'm looking for a dual sim android, and I like this one. Does anybody knows does it have LED notifications, usb otg and gorilla glass (I think it has none of those, but not sure)? And as I understand it has a radio transmitter? I loved that on one of my old symbian nokias. Ony a little concerned about the battery, cause I'm a heavy user. 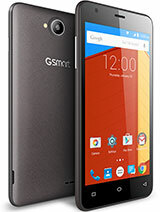 Any experience with this phone, more info or a suggestion would be nice. Thanx in advance! 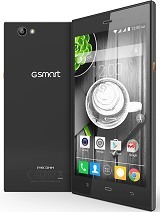 Total of 21 user reviews and opinions for Gigabyte GSmart Maya M1.